The Art of... Turtle Care | The Art Of | Kids VT - small people, big ideas! With their leathery, pliant shells, Eastern spiny softshell turtles — the only species of softshell turtles found in New England — are especially vulnerable to predators. Since 1987, they've been listed as a threatened species in Vermont. A partnership between the Vermont Fish and Wildlife Department and ECHO Leahy Center for Lake Champlain aims to protect these and other turtles during the cooler months and educate ECHO visitors about turtle conservation. In Vermont, turtles begin to hatch in August, a process which continues into October. For hatchlings born in the late fall, colder weather slows their development in the nest and lowers their chances of making it to the lake to hibernate for the winter. So, for more than 10 years, Steve Parren, wildlife diversity program manager for Vermont Fish and Wildlife, has been bringing late-born softshells — and, in some years, Northern map turtles — to ECHO to be cared for during the winter, a process known as "headstarting." Last fall, Parren handed over nine softshell and seven map turtles to the science center. The babies are kept in 70-degree water in ECHO's Action Lab, where visitors can observe them and ask questions. Typically, the turtles are less than a week old when they arrive, and they still have a yolk sac attached to their bellies, explained environmental exhibit specialist Jennifer Dean. They're given food high in calcium since they need to grow during a time when they'd normally be dormant. When the lake water warms to around 65 degrees, usually in June, the turtles are released back into Lake Champlain. At that point, they're about the size of a typical 2-year-old turtle that has hibernated in the wild. 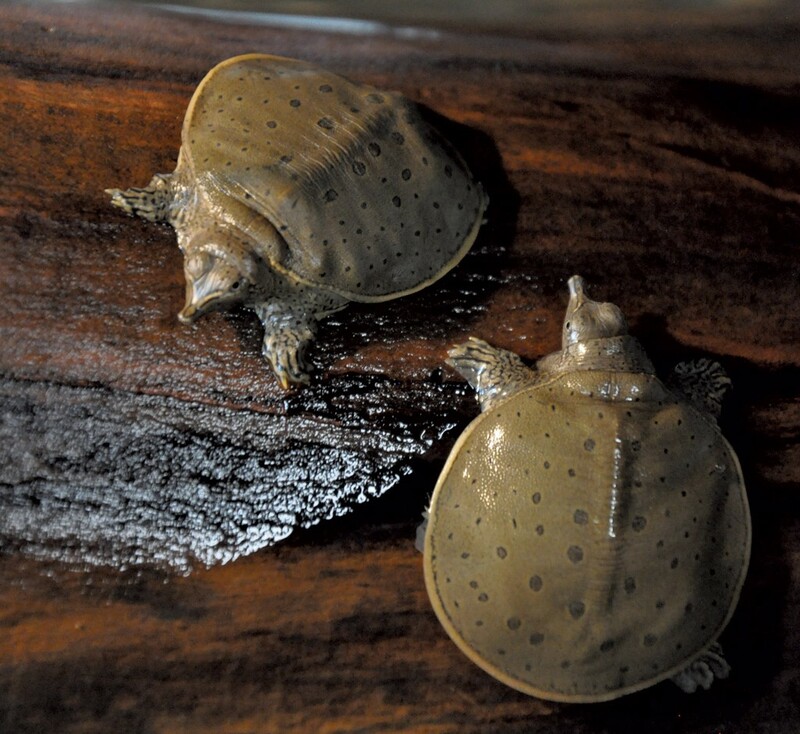 One component of the partnership is ECHO's Eastern Spiny Softshell Adoption Program. Those who want to support the science center's care of the endangered turtles can become a Softshell Supporter for $50 or a Softshell Superstar for $125. Donors at both levels receive a certificate, a photo of their turtle, a softshell stuffed animal and the opportunity to name their turtle. Superstars are given day passes to ECHO so they can visit the turtles and an invitation to attend the turtle release. After a behind-the-scenes tour at ECHO last December, Heather Jaring decided to purchase two Softshell Superstar packages — one as a birthday present to herself and one as a Christmas present for her 5-year-old son, Corey. 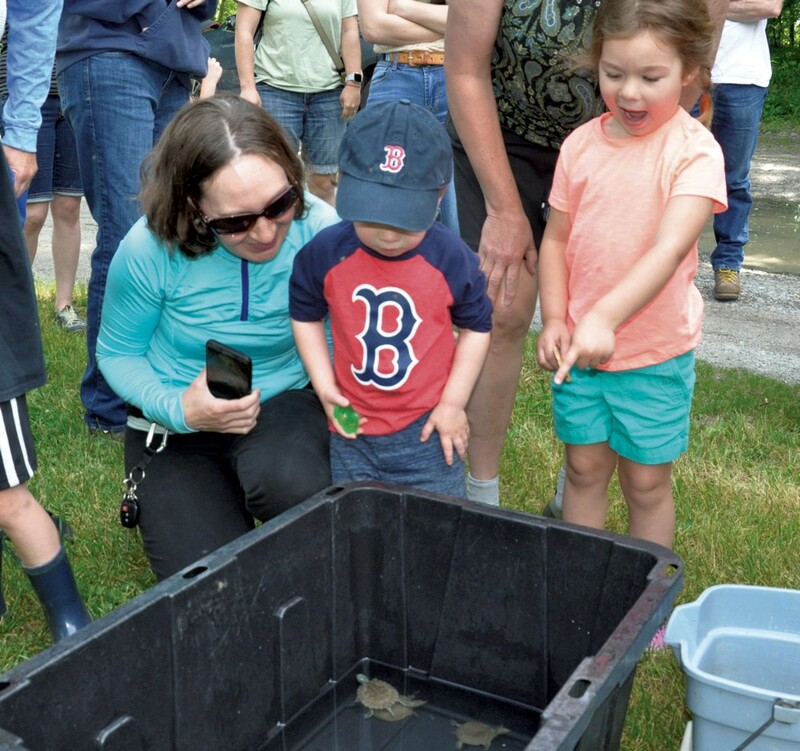 She and Corey both love wildlife and the outdoors, she explained, and last fall participated in Vermont Fish and Wildlife's turtle nesting site cleanup. "I'm always looking for new ways to give him experiences because, to me, that means more than a toy, and memories last a lifetime," she wrote in an email. When Jen Cairns' now-11-year-old daughter, Madeline, turned 6, she had a turtle-themed party at ECHO and asked that, in lieu of gifts, friends contribute $5 to help her adopt a softshell. The family has been Softshell Superstars every year since. Cairns described the turtle release in June as one of the highlights of her family's year. Everyone participating takes a turn choosing a baby turtle from a bucket, she recounted. "After a quick picture, we wish them luck, then gently lower them into the water and watch as they swim out into the lake." Vermont has between 200 and 300 adult and large juvenile Eastern spiny softshell turtles, about half the ideal population, according to the Vermont Fish and Wildlife Department. Eggs are the size and shape of a ping-pong ball. Hatchlings are the size of a quarter. Only about 1% of softshell turtle eggs produce a breeding adult. Vermont law mandates turtle nesting sites to be kept confidential to prevent human disturbance. In 2017, Fish and Wildlife protected nests from predators, like skunks and raccoons, by laying mesh fencing over active nests and using an electric fence around the largest communal nesting area. A 68-inch-high fence was installed to deter jumping predators like foxes. The 2017 turtle nesting season was less productive than the previous three seasons, possibly due to a five-day cold snap in August that killed or impacted development of turtle embryos, said Steve Parren of Vermont Fish and Wildlife. During hibernation — late autumn until spring — softshells bury themselves in mud or sand at the bottom of a river or lake, and they don't need to eat. Every October, Vermont Fish and Wildlife invites volunteers to help pull up vegetation to prepare turtle nesting sites for the following year. Participants get to see hatchlings and learn about turtle conservation efforts. 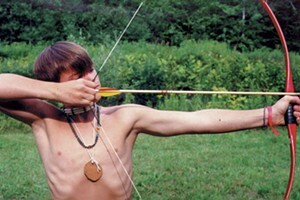 Visit vtfishandwildlife.com later this summer for more information.